PLA Marine Services, based at Denton Wharf, Gravesend, operate a wide range of vessels for the diverse range of operational requirements on the River. These include Driftwood craft, used for clearing debris and for maintenance of moorings, Salvage craft, for clearing wrecks and obstructions, and the TOSCA vessels operated for the Thames Oil Spill Clearance Association. 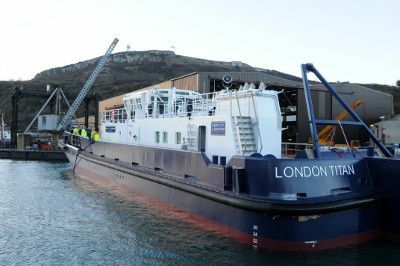 London Titan is our new, £7 million mooring maintenance vessel. London Titan is specially designed to work along virtually all of 95 miles of the Thames we look after. She is squat and shallow enough to negotiate bridges as far upriver as Richmond, and robust enough to operate in the outer estuary. Titan’s duties include: mooring maintenance; laying and recovering navigation buoys; hauling wreckage from the riverbed; supporting diving operations; and small scale plough dredging operations. The Driftwood craft were built by Delta Shipyard for the PLA in 1989 and 1990 respectively. Powered by twin Caterpillar 3306 DITA engines giving 235 bhp, they are capable of a maximum speed of 8 knots. Each is 14.4m in length, with a draught of 1.35m and displacement of 62 tonnes. Their main function is the collection of driftwood and other debris from the River but they are also equipped with hydraulic cranes, burning gear and salvage pumps. Each craft is accompanied by a Dory tender, capable of 25 knots. 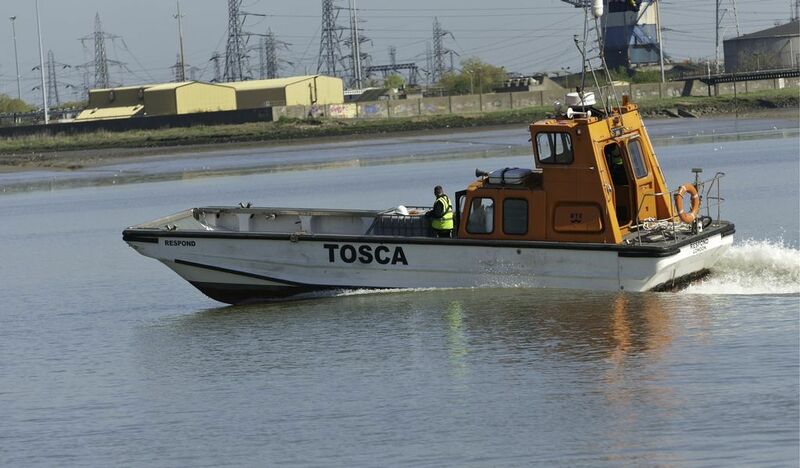 This vessel is based at Gravesend and is equipped for Marine Services and commercial surface diving operations. Built in 1992 by Searle Williams on a Blyth 33 hull, she is powered by twin Volvo TAMD 63L engines of 318 bhp which give a top speed of 25 knots. Overall length is 10m, with a draught of 1.0m and a displacement of 7 tonnes. Impulse is a steel pusher tug built in 1994 by David Abels of Bristol. Powered by twin Caterpillar 3306D engines of 235 bhp, the vessel is 14m in length with a draught of 1.5m and displaces 40 tonnes. Used for a wide variety of driftwood and other tasks, she is equipped with a hydraulic crane and salvage pump. This TOSCA vessel was built by Prout Catermarans of Essex on a 'Panther 61' hull of 16.5m. Twin Caterpillar 3406E engines each give 700 bhp and a top speed of 21 knots. 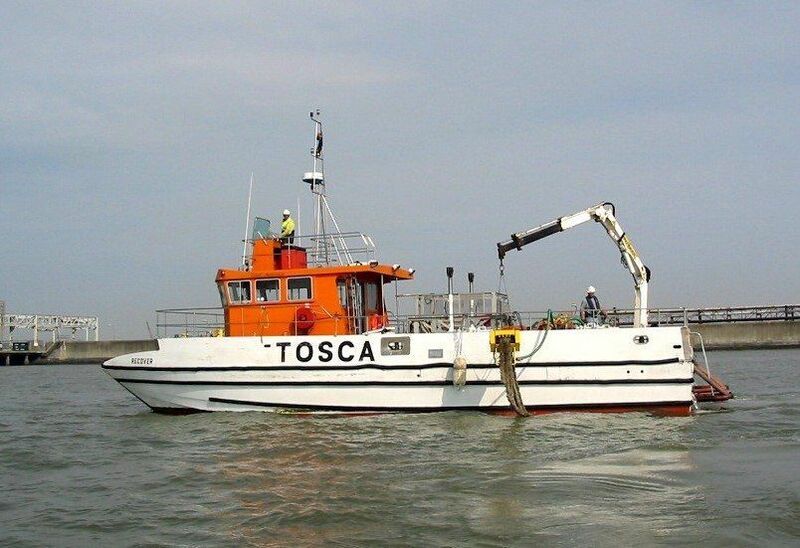 This second TOSCA vessel was built by RTK Marine Ltd of Poole. 12.7m long, with a draught of 0.5m, she is powered by twin Volvo Penta AD/41 DP engines giving 165 bhp through outboard drives and a maximum speed of 25 knots. The vessel is equipped with a bow ramp and heavily constructed underwater hull to allow beach landings for oil clearance purposes. 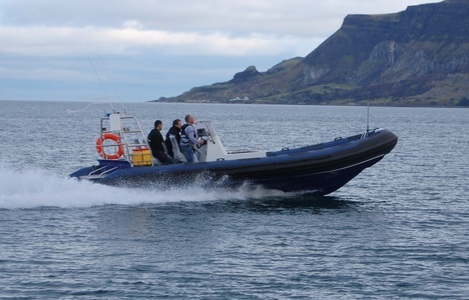 A bespoke 850 open deck RIB built for the PLA by Redbay Boats in 2012. Powered by a Yanmar 6LP with a Hamilton waterjet. A bespoke RIB built for the PLA by Redbay Boats. Principally used as a crew transfer vessel on the Thames. Powered by a Yanmar 6LP, propelled by the Mercruise Bravo 3 stern-drive. The new boat is fitted with a pilot/wheel house and is licensed to carry 10 people. The design process was led by the PLA engineering team and the craft is tailored to the our needs, with . a level of systems and outfitting rarely found on a RIB hull.